Striking employees are scheduled to receive pay checks on Wednesday, the last of their pay until they return to work. While some stores are staying open with minimal staff, the Whalley Avenue Stop & Shop in New Haven is closed except for the People’s United Bank. “I helped bring Stop & Shop to the community because after Shaw’s closed we didn’t have any grocery store to shop,” Helen C. Powell told NBC Connecticut. Now, Powell is joining more than 31,000 employees on strike against Stop & Shop in Southern New England. In this New Haven neighborhood, there isn’t another large supermarket nearby. “A lot of my customers they don’t have the means of transportation to go out to other stores that may be three miles to five miles away from here, so there’s a lot of people in the community going without food right now,” said Julian Harris, who works as a meat and deli clerk at the Whalley Avenue store. In other cities and towns like North Haven, shoppers don’t have to go far to find an alternative to Stop & Shop. The parking Monday afternoon at the Big Y on Washington Avenue was packed compared to the many empty spots outside the Stop & Shop down the road. 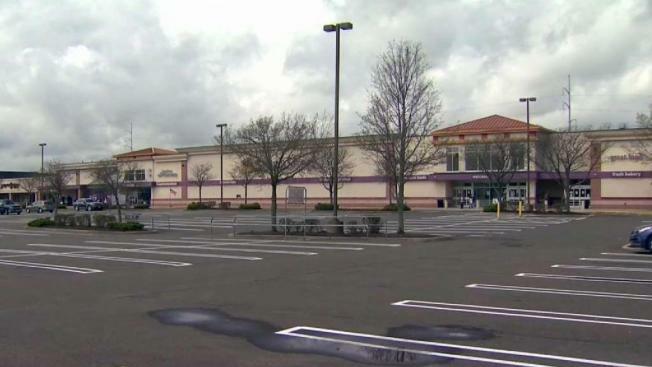 “They should be parking the overflow in Stop & Shop,” Tartaglia said when NBC Connecticut showed her pictures. Normally, Cathy Conklin from Hamden doesn’t shop at Big Y. “I do my grocery shopping at Stop & Shop in Hamden and stop and shop in North Haven,” she said. “I don’t want any of their benefits to be cut, if anything they should be getting an increase in benefits because of the increases in prices,” she said. Ross Prinz is a regular Big Y customer. He said he noticed longer lines than normal on a Monday afternoon. “It’s normally one person but they have more people in here working so that helps,” he said. Zampaglione said she’s worked at that store for a dozen years. At the Whalley Avenue store, Powell said she recognizes the inconvenience of the strike for some Stop & Shop customers in her community. NBC Connecticut reached out to Stop & Shop to see what might happen to the food in its stores during the strike. “Regarding food, we are working with our regional food bank partners, as well as local food pantries, to donate as much food as possible to our neighbors in need,” a Stop & Shop spokesperson replied.